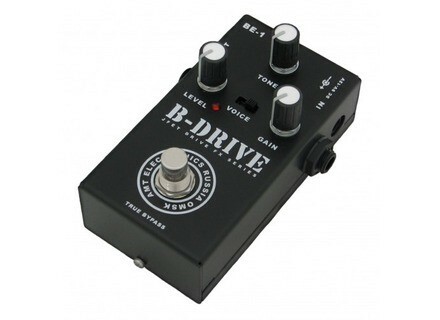 B-Drive, Overdrive pedal from Amt Electronics in the Drive series. AMT releases a series of seven overdrive pedals for guitar, reproducing the effects of various famous tube amps. 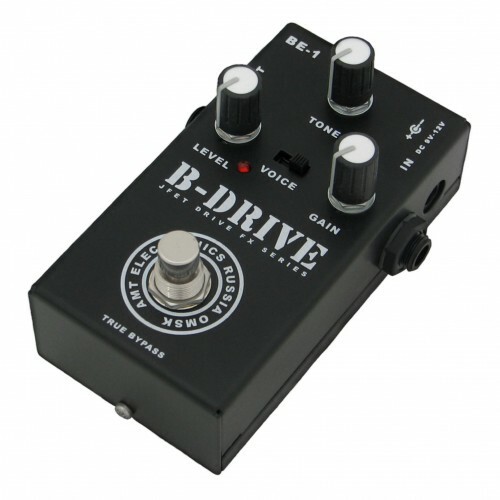 Drive Series Effects are designed to be connected to "clean" channel inputs of guitar combos and amplifiers. New circuitry solutions were developed, based on tube stages emulation which is designed to allow you to get sounds in the style of original tube overdrives while using low voltage (9V) power. The series feature the passive bypass and gain, level and tone controls. Check out the list of new effects on www.amtelectronics.com. PRS 2 Channel H The PRS 2 Channel H Amp, which was announced at NAMM 2011, is now available. TC Electronic Nova System Limited Edition TC Electronic’s multi effects board for guitarists, Nova System, is now being launched in a special version – a batch of 1,200 units will be available for a limited period of time. Dunlop MXR Analog Chorus Dunlop releases the MXR Analog Chorus effect.